Malaria remains a prevalent killer of the world’s most vulnerable, with 445,000 deaths caused by the disease in 20161. The vast majority (approximately 90%) of these deaths take place in sub-Saharan Africa, with children under the age of 5 most likely to fall victim to the disease2. A World Health Organization campaign, brought into the public eye every 25th of April on World Malaria Day, focuses on tackling malaria with the aim to keep the desperate need to reduce the malaria mortality rate in the minds of societies and governments across the globe. Without donations and public awareness, it is unlikely the World Health Organization will reach its goal of decreasing the death rate by 40% in a minimum of 10 countries by 20203. The urgency is poignantly captured in this year’s slogan, “end malaria for good”. Malaria is a disease that is often life-threatening, but treatable with the correct medical intervention. People become infected with the disease when bitten by female Anopheles mosquitoes carrying the Plasmodium parasite. Once in the bloodstream, the parasites spread and reproduce within the red blood cells. These blood cells then burst around every 48-72 hours, causing an intense fever with symptoms such as vomiting, headaches, and temperatures of 38C or more4. If the disease is not treated, the infected person’s condition will sadly often be fatal. In impoverished countries such as Nigeria (making up 25% of all malaria cases)5, devastatingly, the lack of resources (both medical and educational) and unstable political climates negatively impact the treatment programs available to those affected by the disease. The climate has an impact on transmission, as precipitation, temperature, and humidity impact the lifespan of the Mosquitoes. Transmission can also depend on the season; for example, in some places, the peak time for transmission is following a rainy season. When people with less exposure or immunity to the disease move into an area at peak transmission time, this increases the likelihood of them being infected. Immunity is also a crucial reason why the majority of malaria deaths in Africa are those of young children, as in places with increased transmission their immune systems are often not strong enough to protect them from infection6. Receiving a prompt diagnosis can make the difference between life and death. Diagnostic testing allows medical professionals to quickly determine whether a patient has malaria and provide life-saving treatment. Although the progress in preventing malaria fatalities has been slow, that is not to say there has been no improvement, for instance, in 2015, approximately 50% of children seeking medical assistance for symptoms such as a fever in 22 African countries received a diagnostic test for malaria, compared to 29% 5 years earlier7. In order to “end malaria for good”, prevention is key. Nets treated with insecticides are at the core of efforts to prevent malaria infection in Africa. The World Health Organization found that over half (53%) of the population at risk of infection in sub-Saharan Africa slept with treated nets over them in 2015, a great improvement from 30% in 20108. These nets are particularly popular and therefore effective due to their relatively low cost. At Blue Frontier, we believe that our technical expertise can be of great use to the medical field. We have worked with the global non-profit organisation FIND to develop the Connected Diagnostics Platform (CDP), which is a patient-oriented system that collects data in order to offer diagnoses, treatment and the monitoring of patient health9. FIND aims to improve the development of diagnostic technologies to fight against and treat serious diseases such as malaria that predominantly affect the poorest regions in the world10, and our collaboration with them has allowed us to contribute to the cause against poverty-related disease. With adequate funding and further campaigns to encourage the development of such technology, systems like CPD can help to rapidly improve the chances of survival of those suffering from malaria, as the integration of healthcare services into one platform saves valuable time and improves quality and accuracy of diagnostic data. There is no quick fix for malaria, but with a dramatic increase in funding (the World Health Organization aims for $6.4 billion by 2020), the chance of eradicating this horrific disease will be much more likely. 10 million additional lives are predicted to be saved if the goal of eliminating malaria is met by 2030. 1World Health Organization (2017). World malaria report 2017. Geneva. 2World Health Organization. (2018). Malaria in children under five. [online] Available at: https://www.who.int/malaria/areas/high_risk_groups/children/en/ [Accessed 9 Apr. 2019]. 3World Health Organization. (2019). Global targets. [online] Available at: https://www.who.int/malaria/areas/global_targets/en/ [Accessed 9 Apr. 2019]. 4: nhs.uk. (2018). Malaria. [online] Available at: https://www.nhs.uk/conditions/malaria/ [Accessed 9 Apr. 2019]. 5World Health Organization (2018). World malaria report 2018. Geneva. 6World Health Organization. (2019). Fact sheet about Malaria. [online] Available at: https://www.who.int/news-room/fact-sheets/detail/malaria [Accessed 9 Apr. 2019]. 8World Health Organization. (2016). Malaria control improves for vulnerable in Africa, but global progress off-track. [online] Available at: https://www.who.int/news-room/detail/13-12-2016-malaria-control-improves-for-vulnerable-in-africa-but-global-progress-off-track [Accessed 9 Apr. 2019]. 9Connecteddiagnostics.net. (2019). About Connected Diagnostics Platform | Medical Software. [online] Available at: https://www.connecteddiagnostics.net/about#cdp [Accessed 9 Apr. 2019]. 10FIND. (n.d.). At a glance - FIND. [online] Available at: https://www.finddx.org/at-a-glance/ [Accessed 9 Apr. 2019]. 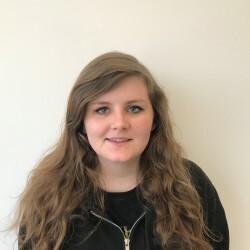 Amy joined the Digital Marketing team at Blue Frontier in April 2019. Following graduation from University in 2018, she has accumulated experience writing content for social media and articles on subjects including AI, Smart Technology, Cybersecurity and IoT. She is interested in writing about a diverse range of topics and enjoys the versatility of her role at Blue Frontier.